The partners of Montagut and Sobral, Concepcion de Montagut and Germaine Wright Sobral, each have decades of immigration law experience. Our firm specializes in immigration law and has helped tens of thousands of immigrants to become lawful permanent residents of the United States. 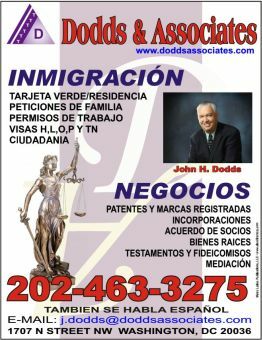 We have also helped thousands of clients to become United States citizens. Our firm is committed to providing our clients with the most efficient, professional, and passionate representation. Our attorneys count their successes both at the state and federal levels, including before the Supreme Court of Virginia. Because we recognize that each client and each case is unique, our attorneys are committed to providing specific solutions to our clients’ individual needs by carefully evaluating each client’s personal circumstances and selecting the most appropriate course of action for that particular client.